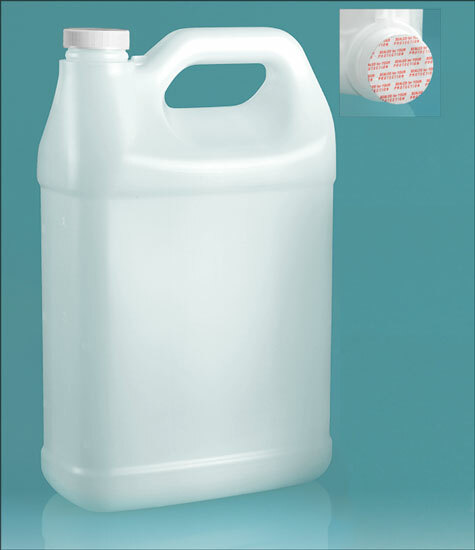 These large HDPE plastic jugs come with white plastic ribbed caps, featuring an HSS-5.6/20 foam induction liner. The liners are printed with the phrase "Sealed for Your Protection", and can easily be applied with an Induction Cap Sealing System such as our Enercon Super Seal Jr. 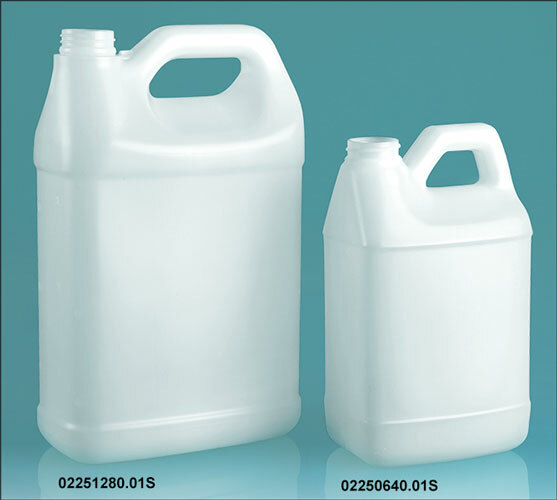 The large handle, easy to read molded graduations, and induction lined caps, which provide added protection from leakage, could make these plastic jugs a good option for packaging liquid household cleaners, detergents and other industrial chemicals and solvents.